September signifies the last bit of summer (my favourite season), but it also brings much to appreciate. Mornings and evenings cool down, the local harvest expands, and nature’s colours intensify, reflecting the earth’s cycles that we’re a part of. 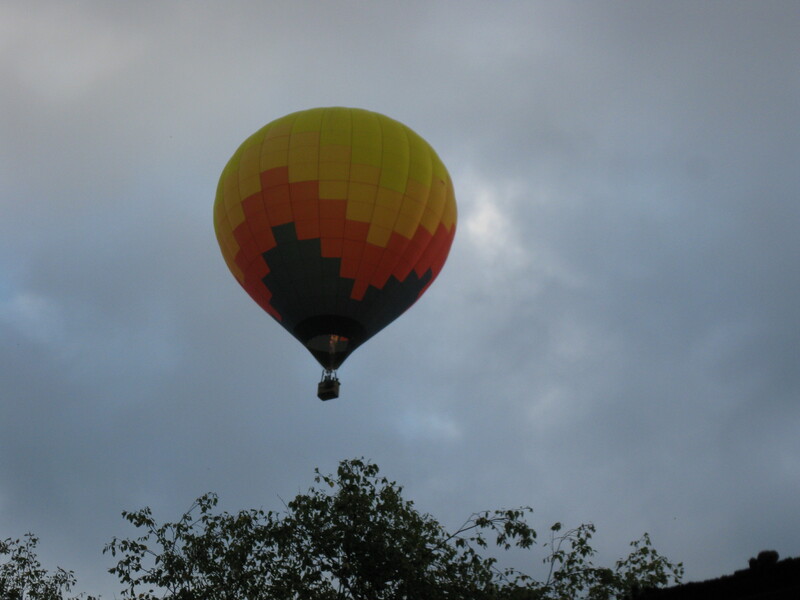 The changes can infuse us with new energy as we resume work, school and other activities. At Green Living Ottawa, over the next week or two, we’ll be sharing news about an innovative swapping service, details of some green gatherings, and suggestions for protecting and benefitting from our environment. “Note to self: the paper guide” by Adria Vasil (Ecoholic). You may also have noticed that I’ve been updating the Green Living Ottawa blogroll and have added a list of websites related to environmentally-aware living in the Ottawa area (on the right hand side of the blog). Please share any additional suggestions you have. Written by guest blogger Denise Deby, who writes on local and global social, environmental and urban issues. A dozen intrepid individuals are canoeing 1800 km from Ottawa to Washington, D.C. to raise awareness of the need to protect and restore our rivers. They launched their 36-foot voyageur canoe on September 5, with the intention of reaching Washington, D.C. in mid-October. 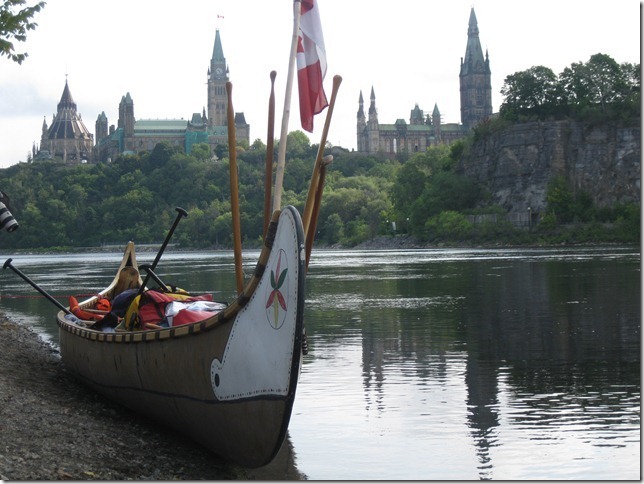 I headed down to Turtle Island (Victoria Island, below Parliament Hill) to see them off, and I’m glad I did; it was a chance to meet some of the paddlers and hear from supporters including the Canadian Wildlife Federation, the Ottawa Riverkeeper and Paddle Canada. A highlight was hearing Evelyn Commanda, daughter of Elder William Commanda, in whose memory the trip is being made. (I’ve written about him before, here.) Evelyn Commanda spoke about the importance of water for all living things, and the connections between bodies of water and between water and the rest of nature. Paddlers Max Finkelstein and Clive Doucet joked about the long journey ahead, but emphasized why they decided to undertake the trip: to draw attention to the need for healthy waterways, and to connect people in the two countries on water issues. Ottawa Riverkeeper Meredith Brown underlined this connection, encouraging people to think about where our water comes from and the role we share in protecting it. It’s a big task that participants have taken on. It’s no easy paddle—a six-week journey, with no straightforward route. The canoeists, all experienced paddlers, will rely on tips from local residents along the way as well. It’s part of why the journey brings so many people together. You can find more information, including on the route, itinerary and team, on the website. You can also check the blog for updates as they go. Written by guest blogger Denise Deby, who writes on local and global social and environmental issues and enjoys being a kid again sometimes. The Ottawa International Children’s Festival is always fun, but every year the organizers include more environment-themed activities. In this, the Festival’s 27th season, you’ll find plays, puppet shows, music and storytelling with performers from around the world, as well as tons of free activities. Everything happens at LeBreton Flats Park and the Canadian War Museum, this year from May 30 to June 3, 2012. One of the shows this year is The Man Who Planted Trees, by Scotland’s Puppet State Theatre Company. It promises a mix of comedy, puppetry and storytelling about the adventures of a man who sets out with his dog to transform a wasteland, one tree at a time. Check the website for show times and prices; it’s best to buy tickets in advance as most Festival performances sell out quickly. The Children’s Climate Change Project is an exhibit of drama, music and media projects done by students in collaboration with artists and scientists, expressing their ideas about climate change and how to address it. In The Banana Workshop, presented in collaboration with the Otesha Project, kids get to explore where food comes from and how our shopping choices affect the planet. Otesha is also holding Bike Love, in which festival-goers can hang inspiring messages made of recycled materials on bicycles they come across. The Children’s Garden is hosting The Secret Life of Seeds, where kids can choose and plant seeds to take home. 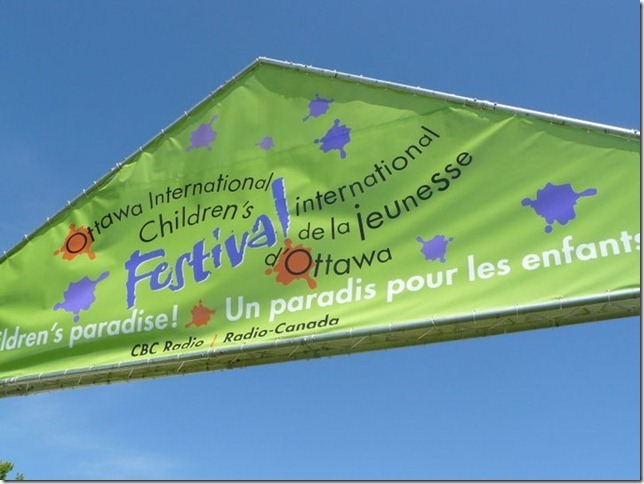 You don’t have to be a kid to enjoy the Ottawa International Children’s Festival, so check it out at http://ottawachildrensfestival.ca/. GreenLivingOttawa’s founder, Alette J Willis, will also be participating in a children’s event this weekend. She will be reading from her award-winning children’s novel “How to Make a Golem (and Terrify People)” at Collected Works Bookstore on Sunday, June 3rd, from 3pm-5pm. Her book, which is aimed at children 8 to 12 years of age, deals with the bad decisions people make when they act out of fear and features a wind-powered mud-monster. The event is free. Collected Works is at 1242 Wellington Street West. The people at Apartment613 have lots of good ideas, but this time they’ve outdone themselves. They’re making November “Support Local” month in Ottawa. And they’re talking not just local food but also local musicians, artists, restaurants and businesses. Postcards from Ottawa at Raw Sugar Café – write to your friends and family telling them how great Ottawa is, Nov. 26. 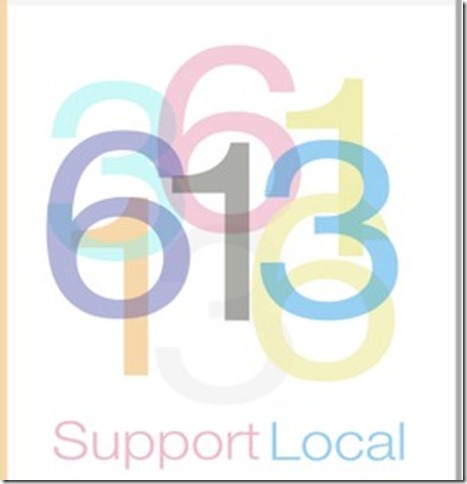 You can also let Apartment613 know if you have ideas for other events (email editors [at] apt613 [dot] ca with “Support Local” in the subject line). Written by guest blogger Denise Deby, who writes on local and global social and environmental issues and was more surprised than anyone to realise she has just completed her 63rd guest post for Green Living Ottawa. You’ll know if you read this blog that Alette Willis created Green Living Ottawa a few years ago as a way to share positive ways of living sustainably in Ottawa. When Alette mentioned to me recently that this post would be Green Living Ottawa’s 200th, I couldn’t help but use it to say congratulations to her, and thanks – thanks for making this a space for information, conversations and inspiration on how we in Ottawa can live “green,” do what we can, and not feel alone in doing so. Alette’s been living in Edinburgh, but had the idea to open up the blog to guest bloggers while she’s away, to enable Green Living Ottawa to continue. She’s warmly welcomed our contributions and perspectives, and keeps the blog going despite the time and energy it takes. So congratulations, Alette, for over 4 years and 200 posts of Green Living Ottawa, and for making Ottawa (and beyond) better. Written by guest blogger Denise Deby, who writes on local and global social and environmental issues, when she’s not out in the real world (ok, sometimes even then). What inspires people to do something about the environment? Often, it’s knowing what we can do to make a difference, and that we’re not alone in our efforts. One of the main observations I came away with is that with Ottawa’s social media users, the whole really is more than the sum of the parts. That is, bloggers, Tweeters and Facebook users – although using social media for different purposes – aren’t just putting stuff out there for others to read; they’re creating conversations, connecting people – and building community. Glen Gower of Ottawa Start, who gave the conference’s keynote address, said a couple of things that stuck with me. One is that blogging and Tweeting enable people to channel “collective community energy,” which Ottawans have been doing for a long time, just in other ways. Another is that people in Ottawa, through their use of social media, are building our city. 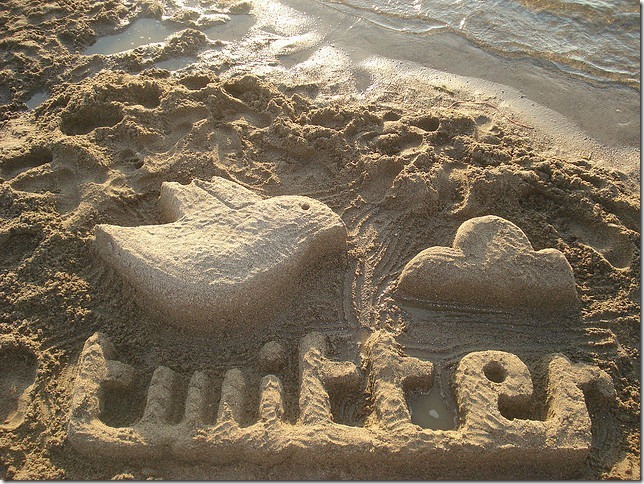 People and groups using blogs, Twitter and other social media to raise awareness and advocate for the environment (e.g. @EcologyOttawa, @ottriverkeeper, Virtual Nonsense, @SouthMarch, The Champlain Oaks) and to help envision a sustainable city (Transition Ottawa, Spacing Ottawa). Building Ottawa as a community of people living sustainably takes more than a few social media tools. But people using these tools help us learn and share what’s possible. Conscious Consumerism – what’s that? Last week someone sent me the video The Story of Stuff and it got me thinking some more about how we can raise awareness about “thinking before you buy”. I love reading about “freegans” and talking about “buying local” and seeing so many people “freecycling” or using Kijiji Ottawa – but when will these activities become more mainstream? I do think that there are signs that we are coming around the corner – from the stores of Dalhousie North selling lots of local, handmade, and recycled items, to hearing that my fashion savvy friend is having a clothes swap rather than buy new this fall. But seeing Karma Wear close was a huge black cloud for the local Ottawa environmental scene. Will this movement ever be able to compete with the cheap buys that can be had at the local big box store or the bargain centers? So I was thrilled to see “The Story of Stuff” video. I sent it to friends, and I want to try to encourage it to be shown in schools. I’m also so happy that local communities, provinces and territories are celebrating “Waste Reduction Week” in Canada this week – the 2009 theme, Too Good To Waste, emphasizes conserving Earth’s resources to make life on the planet sustainable. This is a great way to make people think about the impact they have on the Earth and to encourage everyone to start some new habits. I hope that through activities like these people can start seeing how powerful they are as consumers and that with even small changes they can become activists too. As Jane Goodall pointed out “You cannot get through a single day without having an impact on the world around you.” Her efforts today focus on empowering people to “recognize their personal power and responsibility to effect positive change through consumer action, lifestyle change and activism”. Come share your thoughts on sustainable consumption and your efforts on purchases that make positive changes at “Greenest Stuff”. This is where I’ve been posting about purchases (from Ottawa or further), trying to consider the impact these purchases make. I’m hoping that at the end of the day, I can make better choices as a consumer. If you have any great finds in Ottawa or are interested in the topic send me an email. My next purchase? Canadian-made vegan winter boots!